At the end of day 1 of E3, Nintendo invited me to a behind closed doors Pokemon X and Y presentation. While I was hoping for a chance to go hands-on with the game, unfortunately this wasn’t to be. Instead, I was treated to a developer roundtable where J.C. Smith of Pokemon Company International; Tsunekazu Ishihara, president, CEO, and producer for The Pokemon Company; and Junichi Masuda, director for Pokemon X and Y and former director for Diamond/Pearl and Black/White gave a short presentation on the games before answering audience questions. Here’s the new information the developer roundtable had to offer. First, we got to see the opening movie for the game. The movie predictably showed off the legendary Pokemon of both games, the Y-shaped bird and the X-shaped steer. Scenes were then shown of both the male and female trainers riding Pokemon; it turns out that Rhydon can be ridden in this one. Faster Pokemon appear to be able to jump over barriers while ridden, while slower, stronger Pokemon can break through objects. This speed is reflected in your speed on the map. Not to worry, the bike is coming back, and it can be ridden indoors this time! 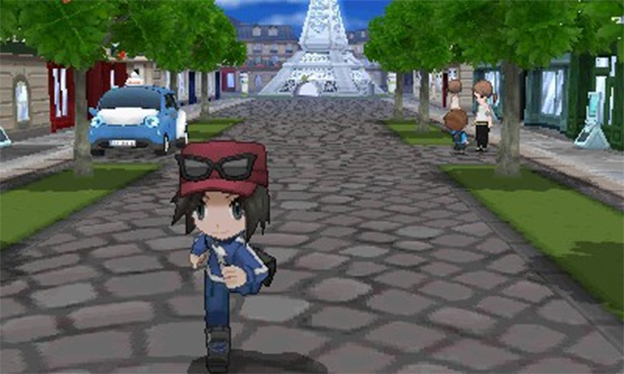 More trainer customization was also shown; the female trainer changes her hat and hairstyle in the middle of the movie. The player was also shown feeding a cupcake to a new bear-shaped Pokemon. Every version of Pokemon X and Y will include seven different languages: English, Spanish, French, German, Itallian, Japanese, and Korean. No matter what the region, gamers will be able to choose whatever language they like. They will also include a brand new Player Search System (PSS), which is controlled via the touch screen during Wi-Fi communication. The PSS essentially acts as a buddy list for other trainers you have met. Other Pokemon players that are playing nearby will show up in the Passerby section. If you interact with a “passerby,” they get upgraded to an acquaintance, showing that you have battled or traded with them. If you battle or trade with a user enough, the game will give you the option to upgrade them to a “friend.” You can then make any passerby, friend, or acquaintance a “favorite” if you want to interact with them again. The PSS system utilizes both local Wi-Fi and Internet capabilities of the 3DS. You can switch between the two modes whenever you like, and when utilizing the Internet mode you can search for players all around the world rather than limiting yourself to players nearby. Everybody is represented by icons which are basically their face, differentiated by hat, hair style, and skin color. We were then shown a battle between Glauncher, a Water-type lobster pokemon, and Skrelp, a Water/Poison kelp Pokemon. Both of these Pokemon were revealed for the first time at this event, though they were pretty basic and had standard Water- and Poison-type attacks. Before each versus battle (via internet or local Wi-Fi), you get to choose the rules, though the rules default to one-versus-one battles. When trading, users will be able to either trade directly from the party or from their PC storage. Pokemon will pass by each other during the trade cinematically, though it was hinted that they might be able to interact in some way, perhaps triggering special evolutions. It appears as if you can battle and trade any time in the game, even outside of a Pokemon Center. Nintendo will also continue their Global Trade Station service in order to facilitate online trades. They later showed a new move called Boom Burst, a Normal-type move that causes an AOE explosion. They didn’t go in-depth on what the move did, but it was usable by Dragon types as well. The presentation then quickly shifted to Pokemon-Amie, the new mode in the game that allows you to feed, pet, and play mini-games with your Pokemon. Essentially, it’s Nintendogs/cats, but with Pokemon instead of real animals. This mode will use the 3DS camera to sense your movements, allowing you to converse with your Pokemon using body language. Pokemon that are frequently taken care of in Pokemon-Amie will get increased stats and abilities. What’s interesting is that the Pokemon use different cries, cries similar to the anime (i.e. cute pronunciations of their name or animal sounds rather than digitized cries). A new battle type was revealed, called the Horde Battle. Horde Battles randomly place you in combat against five opposing Pokemon at the same time! Horde Battles are only available against wild Pokemon and are meant to simulate stampedes. The five Pokemon encountered don’t necessarily have to be of the same type. Yes, you do have to fight all five Pokemon at once, receiving each Pokemon’s attack on every turn. AOE attacks are very powerful here. Apparently, this was an attempt to increase the difficulty of wild battles without breaking the game. 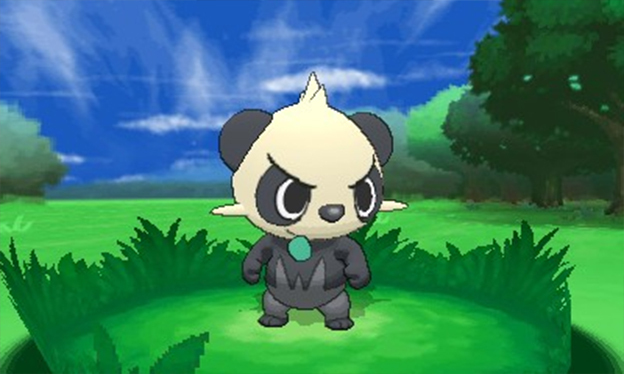 If Nintendo just made strong Pokemon, you could capture them and then the game would be a breeze. This allows them to increase the game’s difficulty without breaking its balance. Sky Battles are another type of battle available only to Pokemon with some method of moving through the air (wings for birds, hovering for ghosts). It’s a type of battle you only encounter against other trainers; if you don’t have any Sky Battle capable Pokemon, you will not be able to accept Sky Battle challenges. A Sky Battle example was shown at the event. Talonflame, a new Fire/Flying-type Pokemon, battled a Noctowl. Both took to the skies high above the battlefield before the battle even began. The Talonflame used Brave Bird, a new move that is incredibly powerful but damages the Flying-type Pokemon in response. This was enough to take out the Noctowl and both players then switched Pokemon. One trainer used a Haunter, the other an Aerodactyl. The battle seemed to progress the same way normal Pokemon battles progress, just in a mid-air environment. It seems as if the only difference between these and normal battles are the Pokemon you are able to use in the battle itself. The final tidbit of info that they were willing to give was a deeper look at the new Fairy-type Pokemon. Fairy-type Pokemon are strong against Dragon-type Pokemon. 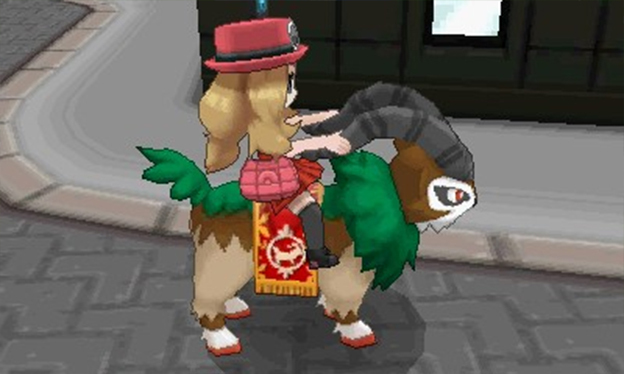 They were added as a way to balance Dragon-type Pokemon without depowering them in any serious way. Past characters, like Clefairy, will be changed to Fairy type where appropriate. That was, unfortunately, all the new info the roundtable had to give us. Still, it was enough to make any Pokemon fan excited about the game’s eventual release. 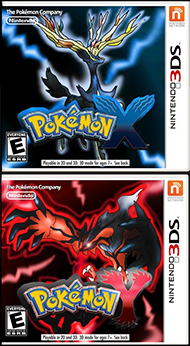 Pokemon X and Y will release on October 12, 2013 worldwide on the 3DS.